Could our country’s need for energy be making you, your children, and your grandchildren sick? America is a nation of consumers, and most people want to consume as much as they can for as cheap as possible. It’s around this time of year that this mentality likely becomes apparent to many of us. But one thing that may not be as obvious is that in order to consume, we need energy to create these products. Energy companies are working around the clock trying to bring us cheap energy, but it’s quite possible that this is all coming at a much higher cost than what you see on the price tag. It turns out that new methods of energy extraction, like fracking, could be making Americans sick. You may have noticed you’ve been getting a big break at the gas pumps these days. But oil is a commodity, and it won’t last forever. Energy companies have been finding alternative ways to get energy, using what’s known as “unconventional oil and gas operations,” or UOG operations. These practices include things like fracking and oil sand extraction. And although these methods provide you with the energy you need to live the way you’re accustomed to, there are some serious health implications. Fracking, for example, has been linked to a number of “fraccidents.” Air pollution, poisonous water, animal deaths, explosions, and other disasters have occurred across the country in and around fracking sites, and we’re only beginning to understand the effects on humans. In fact, a new study is suggesting the impact of fracking on human health is multifold, potentially causing infertility, miscarriages, impaired fetal growth, birth defects, and more. Fracking is a UOG operation that combines drilling and hydraulic fracturing. So basically, a team drills into rock beneath the earth and cracks it to release natural gas from inside. During the process, chemicals are released as a byproduct into the groundwater and atmosphere, making them virtually unavoidable in human consumption. The chemicals are absorbed into the water you drink, the air you breathe, the crops you eat, and the feed given to livestock, from which products are created and consumed by humans. Some research suggests the main problems seem to be localized to a mile around UOG operation sites, but more research is required. A team from the University of Missouri recently did the largest review to date on the impacts of fracking on human reproductive and developmental health. They looked at 150 peer-reviewed studies and found that there are concerns for human health. Now, they didn’t say the impacts of fracking could create a Chernobyl situation, but they didn’t say things didn’t have the potential. Fracking is a relatively new form of energy extraction, so it will still take time and research to fully understand the magnitude of its harm on human health. But the fact does remain that humans are experiencing negative health risks and future generations could be in great harm. Furthermore, it is unknown how these health impacts will manifest themselves as children age. 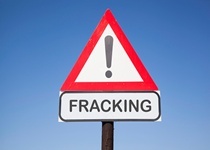 There is potential for the impacts of fracking to reach far, perhaps disrupting development and function in the future. Potential disruptions to the endocrine system, cardiovascular system, and brain function do not seem too farfetched, but, unfortunately, only time will tell. As long as Americans continue to consume and demand so much energy, fracking and other UOG operations will likely continue. A pipeline from the oil sands in Canada is likely to run through the Midwest United States and into Texas. The Keystone pipeline project might provide an alternative to fracking, but it comes with its own set of health concerns. Unfortunately, if you live near a fracking site, the only real ways to protect yourself are to avoid tap water and elect to pass on locally produced food. Unfortunately, you can’t do much about the air you breathe, so moving might be your only real option. However, in my opinion, the only real way to avoid the health problems associated with energy extraction is through a shift in the American paradigm. America must become less reliant on oil and natural gas as energy sources, which is only possible if two things happen. The first starts with you and I; we need to try to use less energy, while focusing more on recycling and finding ways to use clean, reusable energy. The second is for policymakers and businesses to focus on clean energy, which will likely only happen if there is pressure to do so from the public. If people don’t change, nothing else will. The health problems associated with energy extraction are real. Chemicals are being released into the groundwater and atmosphere. and we’re yet to fully understand the dangers they pose. But one thing is for certain: the dangers are there. University of Missouri-Columbia, “Chemicals Released During Natural Gas Extraction May Harm Reproduction, Development,” ScienceDaily web site, December 5, 2014; http://www.sciencedaily.com/releases/2014/12/141205175039.htm.